Hello friends, Today I will tell you ten best label Makers for your office or home. All these label makers are very cost efficient, and you can use them for commercial work. Even small business or large business both can use these label makers. These label makers can be used for Industry, Cable, Shops, Homes, Crafter and almost everything which requires a label. Label makers are one of the most iconic inventions. It’s like giving everything a name and let that name be stick on them. You must have observed label makers in Shopping center where every product has its label. These labels have all time stamp, pricing details and almost all information related to that product. These shopping centers give their own Label on these products to identify at the time of billing. It also helps the consumer in finding there desired product quickly. It’s like finding your product by reading its label. In homes also we sometimes use this label system, especially in Kitchen. You must have observed that several item boxes have a label placed on them, it helps husband to cook the meal lol. We can also use our ordinary printer but they are not much cost effective. And sometimes we have to fix printer problem on PC. Giving a label is not only for Timestamp and all. It used for almost everything. It’s like identification of product of what inside the box. You can get full information about the product from its box. It also saves our time in finding a suitable product from several boxes. As we can read just read the label and find our products. Well if you are using a home printer then you can also read our guide on check printer ink levels. 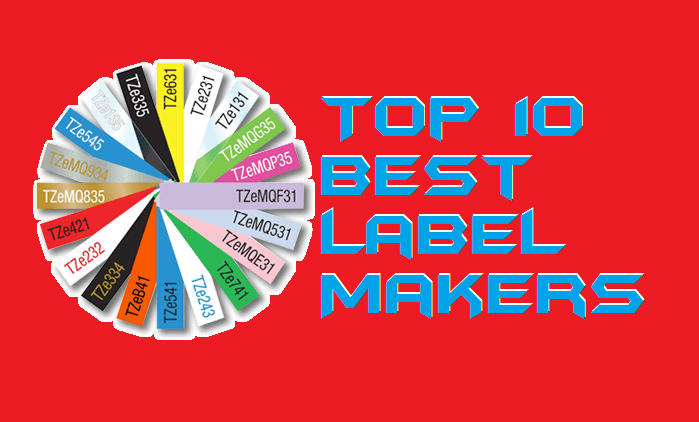 We have analyzed several label makers and found these best label makers. These label makers best for both home, office, and commercial. Users don’t need much knowledge to use these label makers. All they need is label maker and do a few settings, and you are ready. They are also found to be very much cost effective as compared to other label makers in the market. Do read every label makers and select the best for your work. The Brother P-touch PTD210 is best suited for home or home office use. It can print original labels. The best features are its one-touch keys for accessing fonts, symbols, frames, and templates easily. The screen also gives a preview of the label before you print. It comes with easy access memory that stores up to 30 labels for quick printing. A variety of tee tapes may be used like standard, extra-strength, acid-free adhesive, cable and wire, fabric iron-on, etc. You might want to use Brother’s laminated tapes that create labels that are water resistant and fade resistant. It is powered by six AAA batteries, portable and quite lightweight. The DYMO Label Manager 160 is portable and perfect for professional use. It’s one-touch editing with the fast-formatting keys makes it ideal for organizational use. It has six font sizes, eight text styles and, 200 symbols enable the production of high-quality labels. DYMO Label Manager presents an auto power-off function that helps save battery. Last label memory enables reprinting instead of retyping. The sizes of the labels that can be printed are ¼,⅜ and ½ – inch. It is provided with a large palette of color for applying background and text color. It is powered by six AAA batteries, or an AC adapter might be required which is sold separately. The Epson Labelworks LW requires six AA batteries. It can also be connected to the AC adapter that enables you to work all day on it. It has the capability to save tapes, and the label memory allows you to store up to 50 of your designs. Epson Labelworks LW 400 Label Printer comes with an easy-to-see backlit display. There are plenty of customization options available. A lot of costs may be incurred for refilling of cartridges since it uses inkjet printer ink. The Epson Labelworks prints ¾ inch labels, up to 4 lines of text along with barcode printing. It comes with a diversity of fonts, symbols, and frames. It is usually sold without batteries. This thermal printer supports printing from Android, Windows and iOS devices using Bluetooth connectivity within a distance of 80 meters. NYEAR Thermal Printer ensures cost-effective, high-quality, noiseless, and fast printing. You can print items like price tags, wired tags, jewelry labels, courier labels, etc. It has three important connectivity modes Wifi, USB and Bluetooth. NYEAR Thermal Printer comes with an inbuilt power supply for reducing space usage. For allowing printing from your mobile device, download Nyearlabel app and enjoy printing! It comes with accessories like the receipt paper, power cable, and USB cable. Brother P-touch is portable, compact and lightweight which makes it absolute for household use. It has QWERTY-computer styled keyboard and allows 1-2 lines of text printing. It features seven frame options, eight styles and patterns, and more than 170 symbols for customized 12 character display. You can customize your labels by the added three interchangeable plates. The sizes of the tapes that are used are ⅜ and ½ inch. Only the Brother “M” tapes work on P-touch Personal Labeler. It is powered by 4 AA batteries which have to be bought separately. There is a special “Deco-mode” to use labels for domestic applications. The Brother P-touch is best suited for professional and office use since it is quick and helps generate sundry long-lasting labels for business users. Brother Printer PTD600 PC Connectible Label Maker is compact and can be easily connected to your PC. It comes with a color backlit graphics display with a considerably big sized QWERTY keyboard. Brother Printer PTD600 also includes a USB cable to connect it with your Windows or Mac PC. It allows printing of high-resolution logos and barcodes up to 24mm or .94 inches width. The angled design of the label maker makes it comfy for use. It has fast print speed and owns an automatic tape cutter ideal for labeling tasks. The Brady BMP21-PLUS comes with a special feature of multi-line print and smart formatting. It has tough rubber bumpers for impact resistance. The keyboard contains numbers and letters in sequence. The text can only be printed in a single color with font sizes ranging between 6-40. Tape cartridges which are not included with this enable labels with different lengths. It is powered with six AA batteries for portability. Around 70 durable label parts and 100 inbuilt symbols are available with this device. It is perfect for the storeroom, shelf, tool crib, and asset identification labeling. It produces a label of size ¾ inch. Another unique feature includes the grabber – that prevents the label from falling after it is cut. The DYMO LabelWriter 450 is known for its thermal printing which requires no ink or toner, thus reducing costs and boosting up speed. It is a professional-grade label maker you can use to add into your office for labeling, filling and other business needs. Create labels in your PC and connect DYMO to print the desired labels, that are customized with Microsoft Word. It has a sleek and good-for-work design. It has the capability of printing four lines of text and up to 51 labels per minute speed. DYMO LabelWriter prints on easy-to-peel split-back D1 tape. It comes with accessories like the address label starter roll, adapter, power cable, and USB cable. As the name suggests, the Brother QL-700 provides ultra-fast printing up to 93 labels per minute. It is pretty cost effective because it doesn’t require ink or toner for printing. It facilitates printing easy-to-peel, round-cornered labels. Brother QL-700 High-speed is capable of printing on continuous-length paper, film tapes, and postages. There is a presence of an auto cutter for enabling multiple labels to be produced. Brother QL-700 provides high-resolution printing of 300×600 dpi. 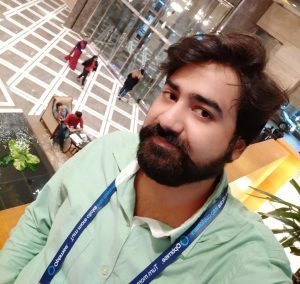 It has a “plug and play” feature that helps to establish a connection with the PC without installation of software and allows printing labels designed on Microsoft Word, Excel, and Outlook. The “Label Collection” comprises of a collection of different label templates which can be downloaded on a click. You may get extra accessories like starter rolls, adapter, power cable, and USB cable. The Brother P-touch is a top-notch product for business owners and home business owners alike. It has a full-color graphics display and QWERTY-styled keyboard. It comes with a case and split-back tapes. Brother P-touch can prints up to 7 lines of text and has around eight font sizes. P-touch presents 14 fonts, 11 styles, 99 frames, and over 600 symbols for labels. It can store almost 99 labels for reprinting. For best performance, it is recommended to use Brother Genuine P-touch tapes. It facilitates printing label of size 1 inch and has an auto tape cutter. It is compatible with Windows and Mac; the extra drivers are available for download on Brother’s official website. There are several more label makers available in the market. But they all have several problem and that is the reason we have not added them to our list. You can use any of these label makers, and you won’t face any problem in the future. They are easy to use, and you can do a quick buy using Amazon. You can also share your views about these label makers and also do let us know which label maker you are going to buy? Also, share where you are going to use these label makers.